masala oats recipe | easy homemade veg masala oats upma with detailed photo and video recipe. 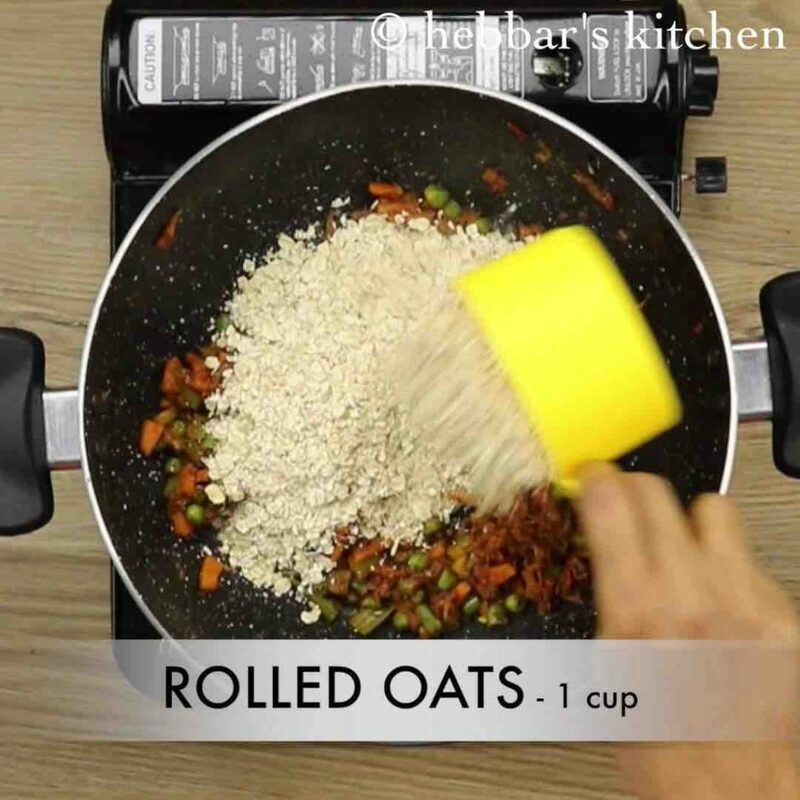 a healthy, tasty and spicy oats recipe which is an ideal breakfast recipe for kids and even adults. having oats with milk or yogurt can be sometime monotonous, hence this recipe to introduce some spice to the regular breakfast. 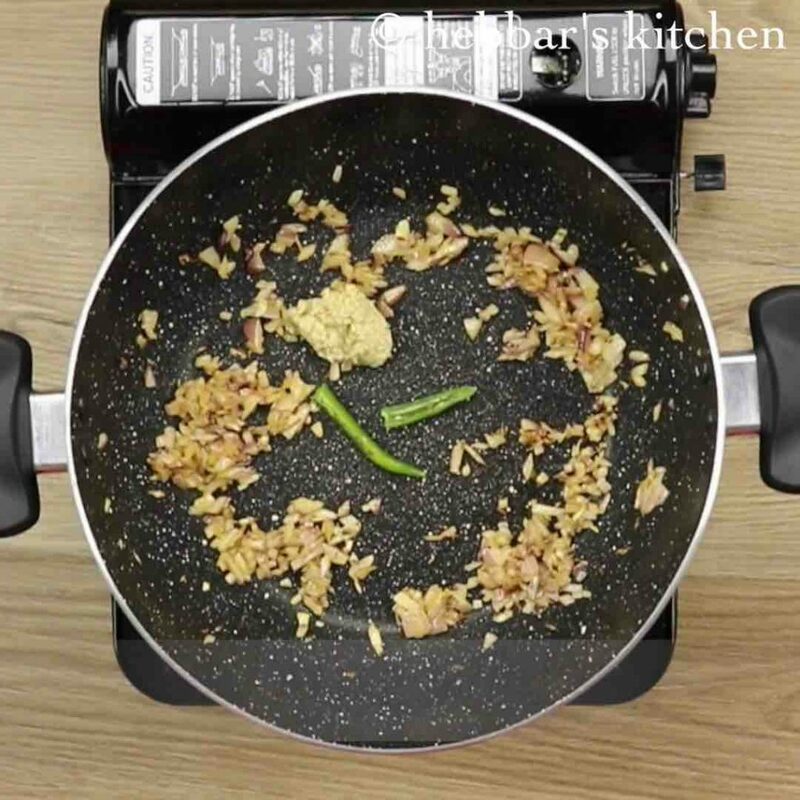 masala oats recipe | easy homemade veg masala oats upma with step by step photo and video recipe. there are several vendors who supply ready made masala oats recipe. once you add hot water, the healthy breakfast recipe with oats is ready. saffola masala oats, quaker masala oats and kelloggs oats are the popular available in the market. however it cannot beat the freshly homemade masala oats recipe. i typically do not like any oats recipe for my breakfast and i prefer it to be something savory and hot. even my husband does not prefer to have chilled breakfast with milk or yogurt. however, we both love this spicy masala oats recipe and i prepare this quite often. moreover my husband use to eat masala saffola oats daily during his bachelor days. moreover i even read that it is safe to eat daily if you like it. apparently oats are plant product and it has almost no cholesterol. certainly a healthy and tasty way to start your day with this easy homemade veg masala oats upma. 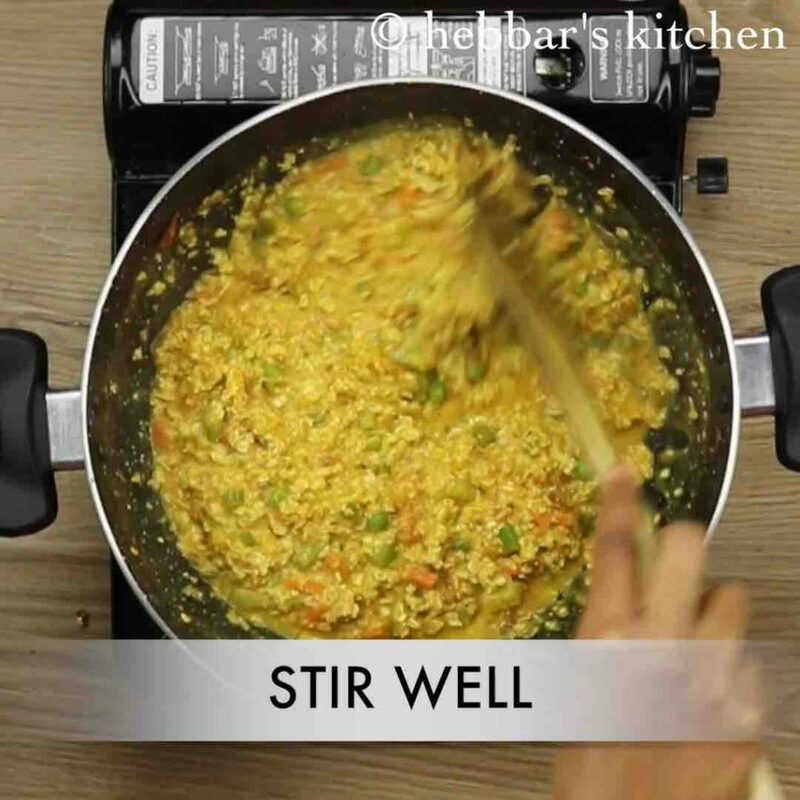 while it is extremely simple to prepare oats masala recipe, but few tips and variations before preparing it. firstly, adding vegetables are open ended and it is completely upto individual’s preference. 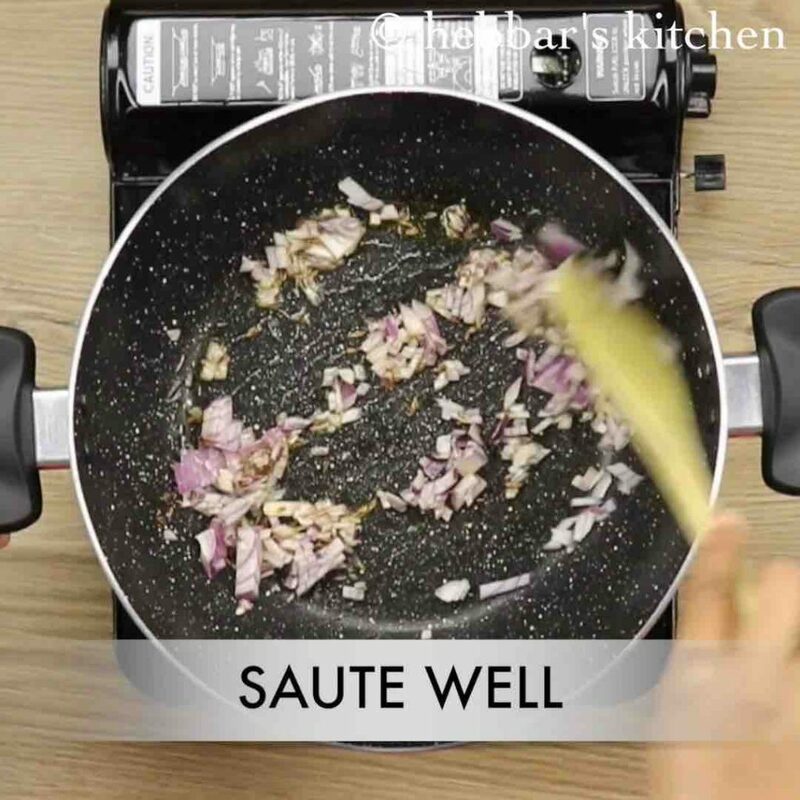 moreover this recipe can also be prepared without any vegetables. secondly, as a variation you can add mint leaves, fenugreek leaves and even coriander and chilli paste to make flavourful oats recipe. lastly, always serve this recipe hot and immediately with a scoop of curd / yogurt and pickle if you like. firstly, heat olive oil or ghee and add cumin seeds. additionally, add onions and saute well. also add ginger-garlic paste and green chilli. continue to saute. 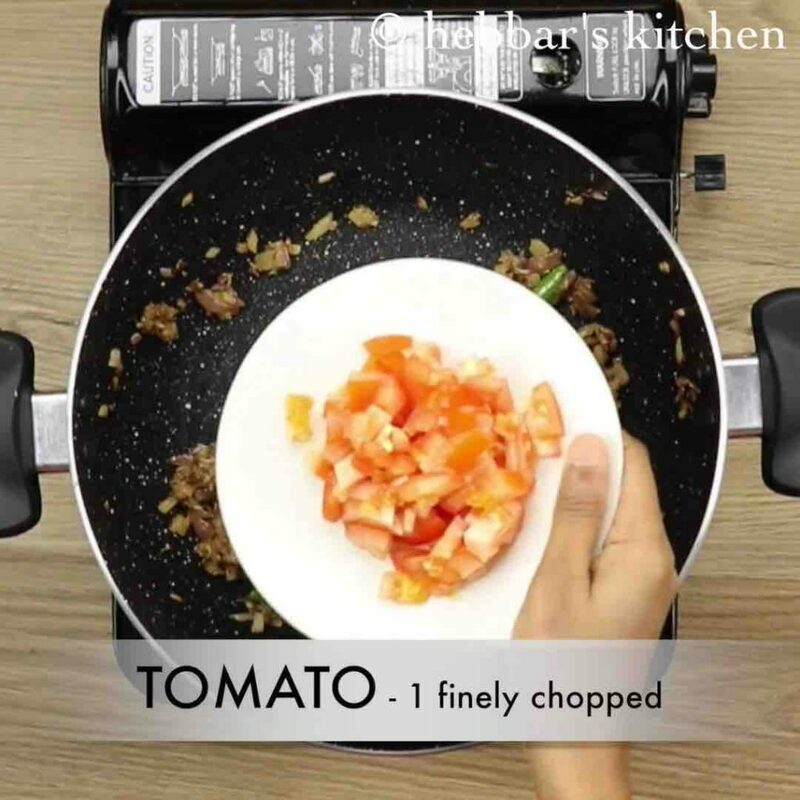 furthermore, add tomato and saute till they turn soft and mushy. now add vegetables of your choice. saute for 2 minutes, till they cook and also retain their crunchiness. further add chili powder, garam masala and salt. 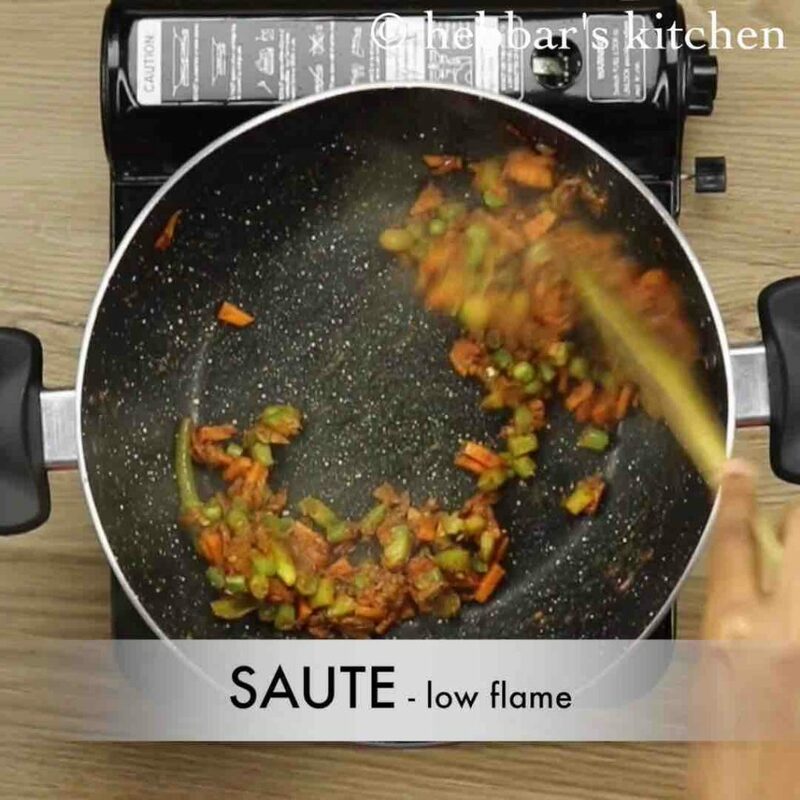 saute for a minute on low flame, till spices turn aromatic. further add 1 cup of rolled oats. 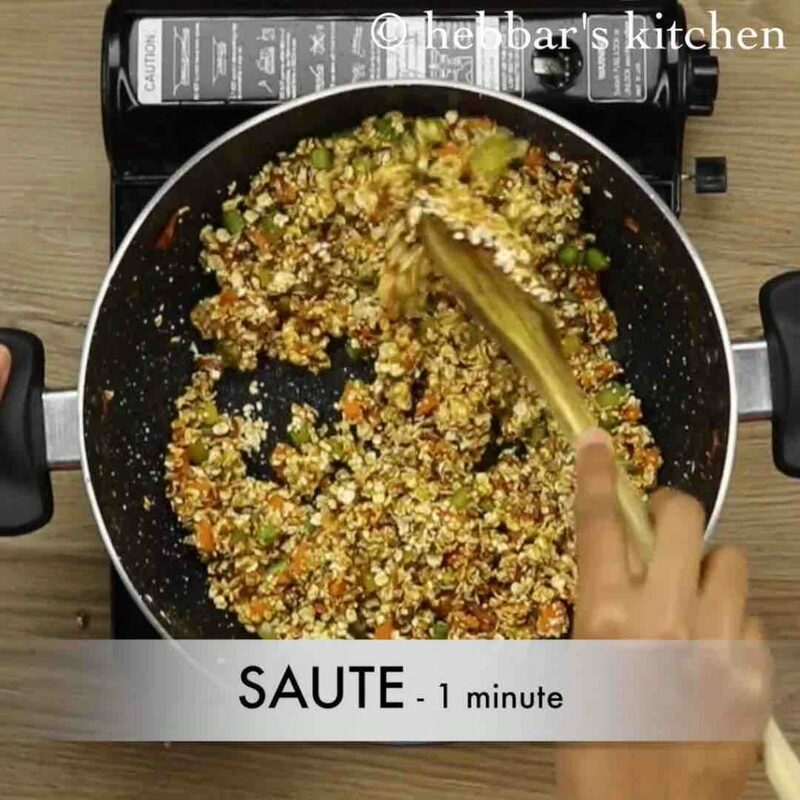 saute for a minute, this helps oats to absorb spices. additionally, add 2 cups of water. 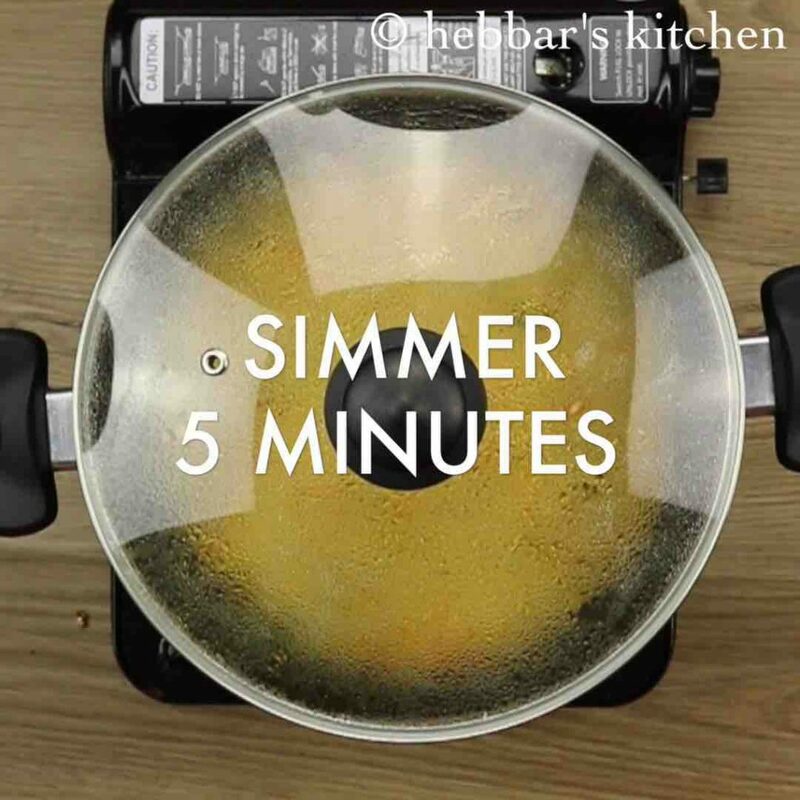 mix gently, without mashing the oats. cover and simmer for 5 minutes, or till the oats get cooked well. 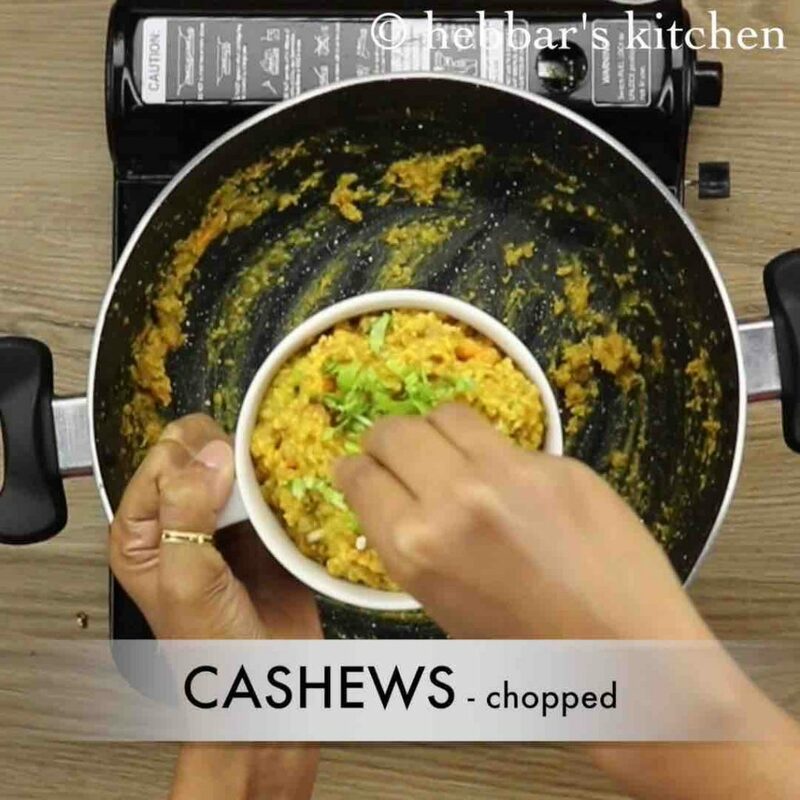 transfer to the serving bowl and garnish with coriander leaves and chopped nuts. 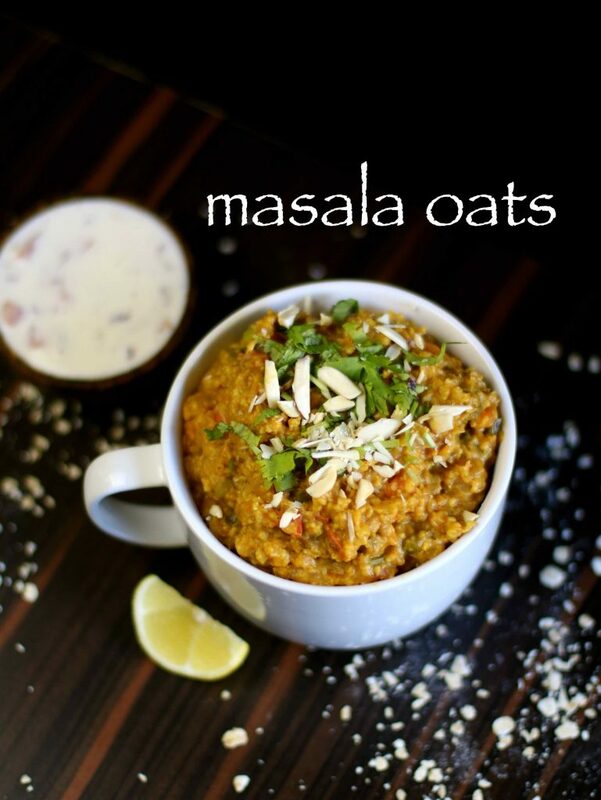 finally, serve healthy masala oats along with hot masala chai. firstly, in a large kadai heat olive oil or ghee. 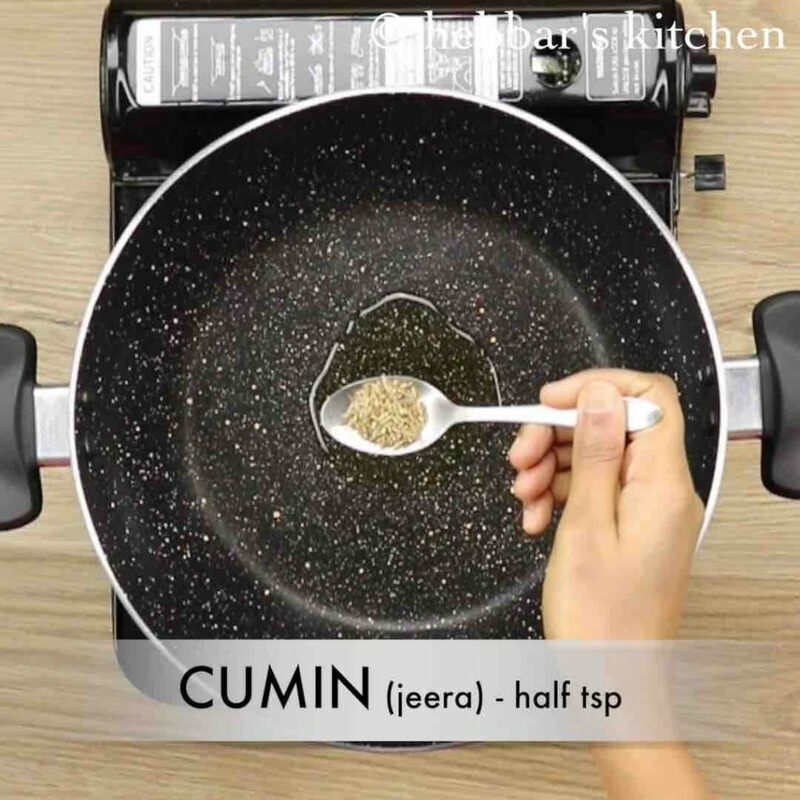 further, add cumin seeds and saute till they turn aromatic. 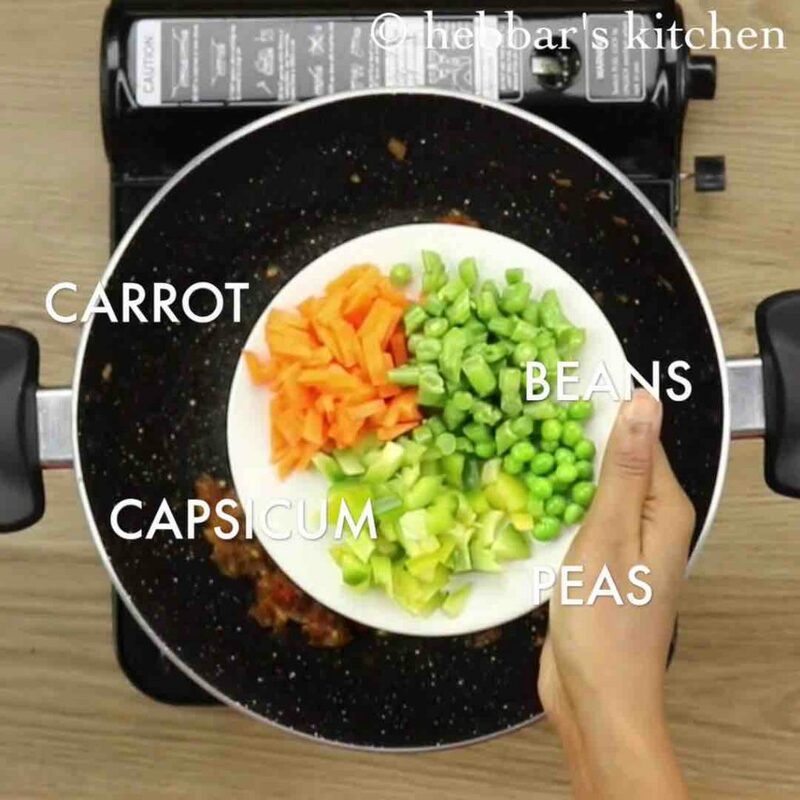 now add vegetables of your choice. 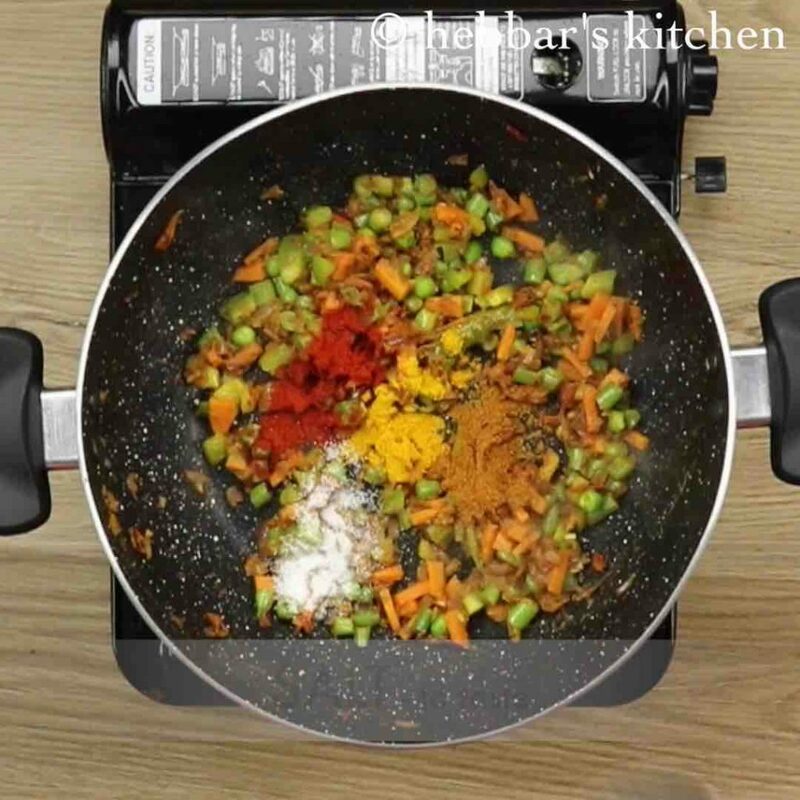 i have used, carrot, beans, capsicum and peas. further add ½ tsp chili powder, ½ tsp garam masala powder and salt to taste. additionally, add 2 cups of water. 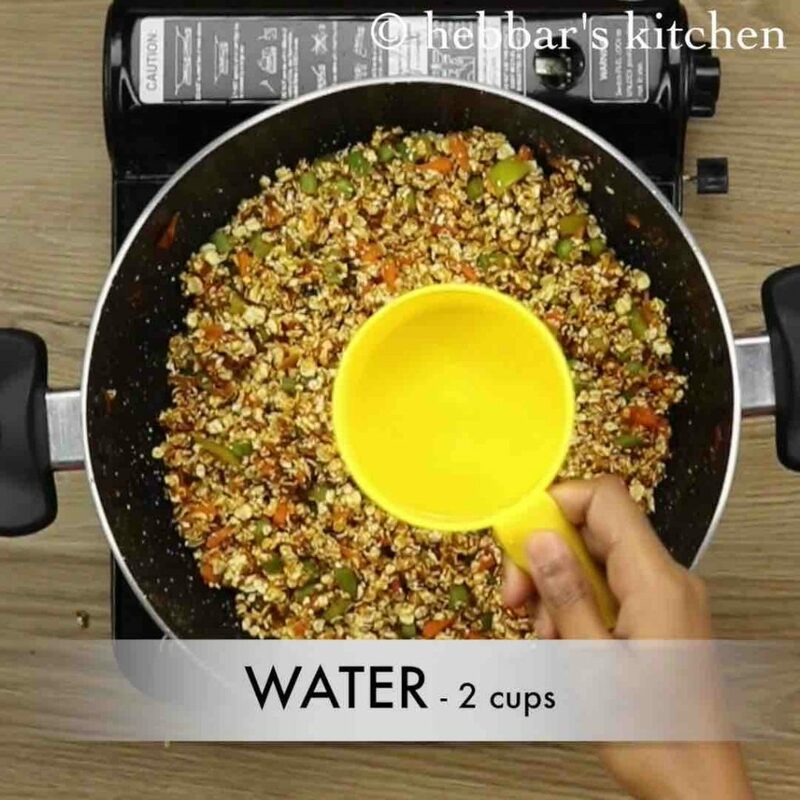 add more or less water, depending on the consistency you are looking for. 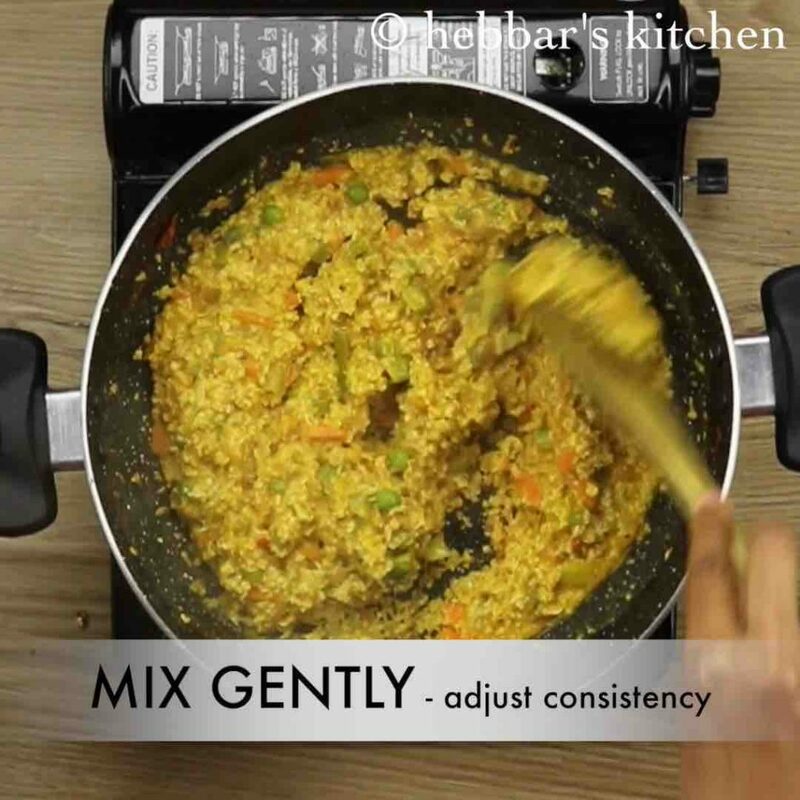 mix gently, and adjust the consistency. 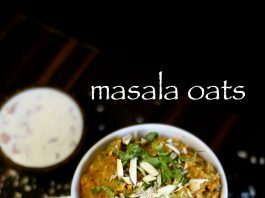 finally, serve healthy masala oats along with raita and hot masala chai. firstly, use neutral flavoured oats as we are adding flavours. 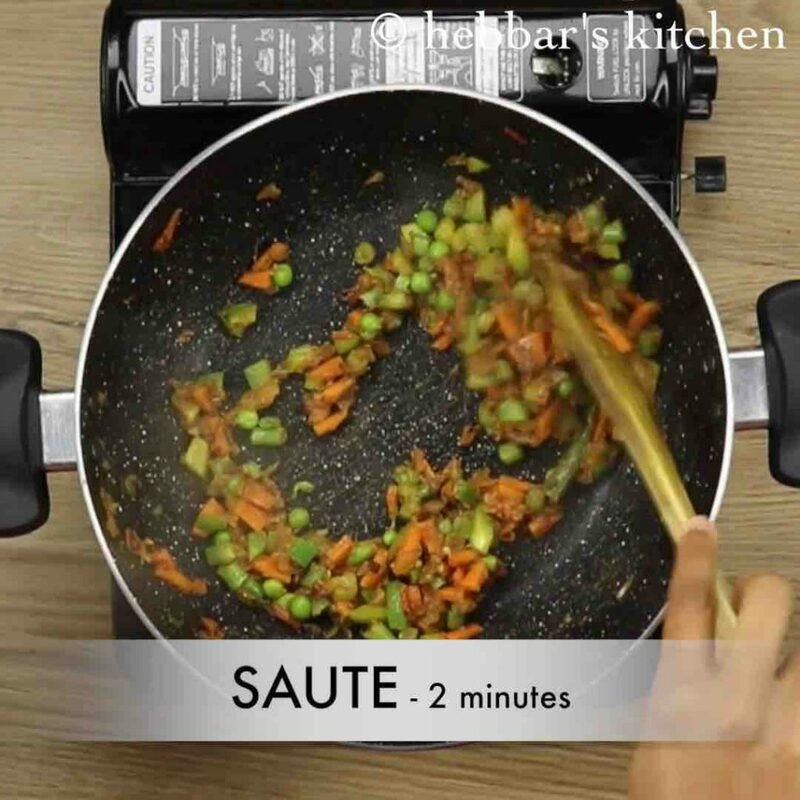 additionally, add chopped mint leaves along with vegetables, to enhance the flavours. 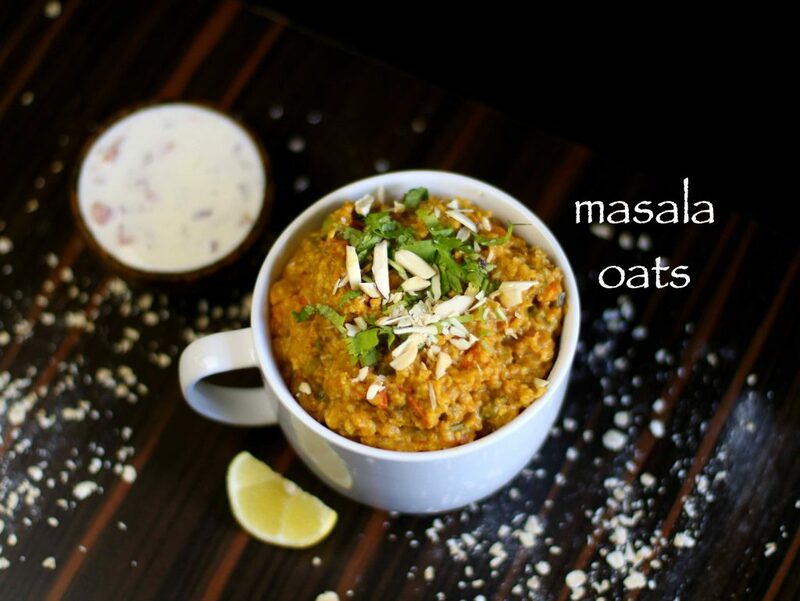 finally, masala oats is more healthy and tasty with spices and vegetables. This is easy and quick especially when in a hurry for work !! To this, we add say one tbsp of curds, it gives a tangy taste. Just a suggestion, you are the expert here! I tried and came out yummy! I made it despite not having turmeric or capiscum and it was still really, really good! 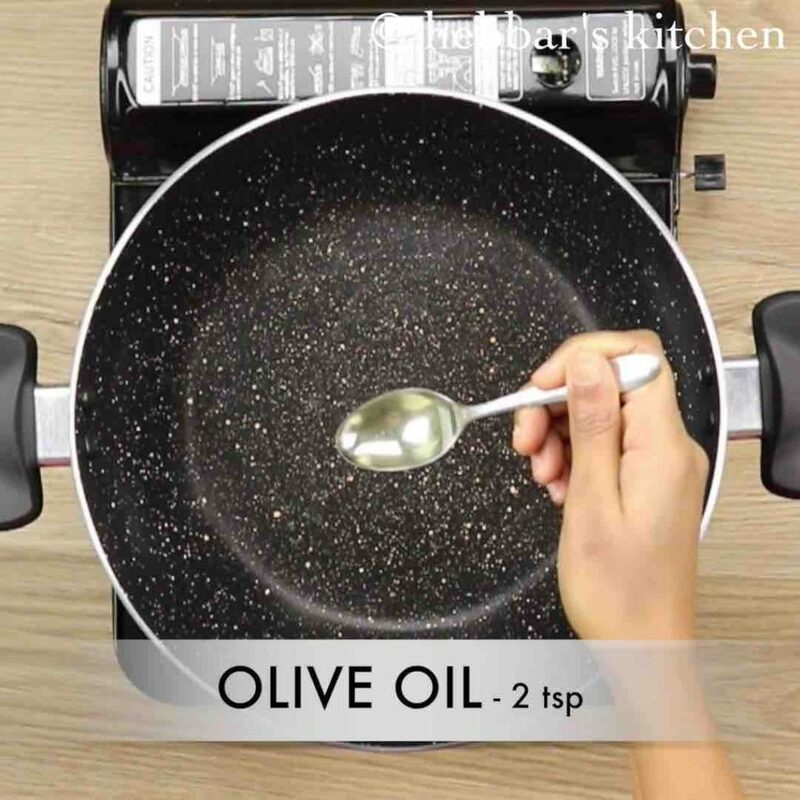 Hi archana….thnx for the recipe.. just 1 query…can i carry this for my lunch…since u said to have it hot and immediately..
yes you can but make sure to heat it before consuming it. if it has turned solid, add some water and then heat in microwave. I made it and my husband liked it very much.. Thanks for sharing.